A detail of the central fountain in Ajuda Botanic Garden was chosen as the emblem for the EuroGard VIII. 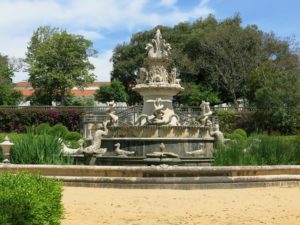 At the center of the lower level of Ajuda Botanic Garden stands a monumental fountain, the Fonte das Quarenta Bicas (Fountain of the Forty Spouts). 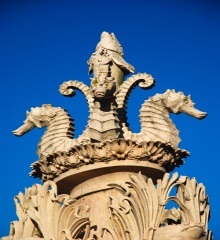 The eighteenth-century fountain has actually forty-one water spouts, disguised as serpents, fish or sea horses. Plenty more statues of frogs, shells and ducks decorate the fountain which is placed in the middle of a large basin filled with water plants. 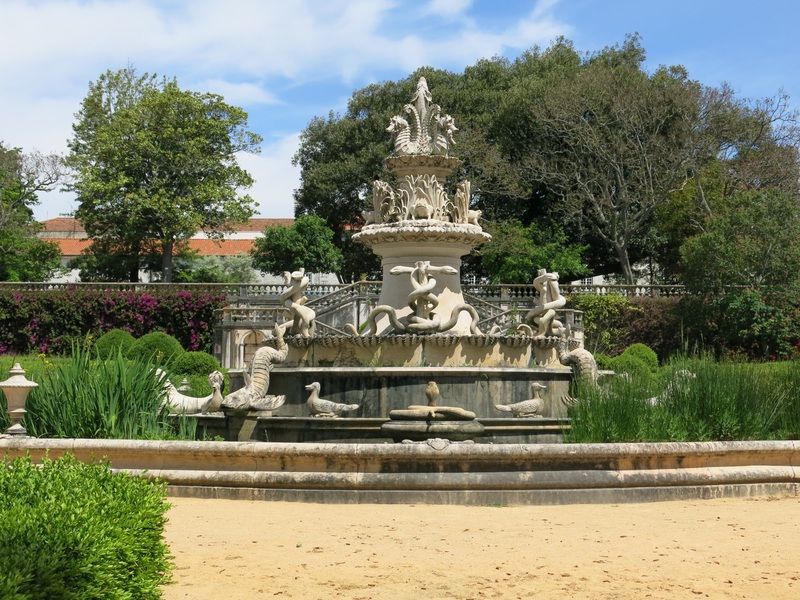 This fountain represents the idea that there was about aquatic animals at XVIII century, and represents also the aquatic biodiversity rarities, as the horses’ sea in the top of it. Presently, represents the fountain of knowledge, since the Botanic Garden, the laboratories of Chemistry and Physics, the House of Drawing and the Natural History Office had made part of the first museology center of Science in Portugal.